Eaton Rapids Joe: How do you catch a fisherman? Belladonna has been enjoying the company of twin brothers. They have their heads screwed on straight. The also happen to be avid outdoorsmen with a passion for fishing. I rarely give girls fashion advise but I will make an exception here. Lucas, I hope you comment! It helps to wear the right kind of ear rings. Beetle spin. Inexpensive. Almost weedless. Catches everything. Flatfish, yellow. Cannot be trolled quickly or it spins. Mepps #2, silver. Slays large trout. Little Cleo. Casts a mile, looks like an alewife. Classic Dare Devil spoons. The risk is that you will attract a piker. Yes, a fascinating subject. More later. All the pix shown are of lures and all mimic fish, mostly wounded fish. Wobble, spin and flash are standard wounded bait come ons. The same things may work on the dance floor for some girls but that is a different subject . You would thing that every lure that can be invented has been. They are a whack of them out there mostly variants of the same thing in different styles and patterns probably meant to hook more fisherman than fish. There are few innovations. I read a book as a kid called Art of Fishing with Worms and Other Live Bait by BLAISDELL, Harold F. Still a great book. He wrote that he made homemade spinners, gang trolls, and the like. What was interesting was his description of how some he made were so much more effective than others on the same pattern. Whatever combination of sounds or movement they made, that made them deadly, he could never determine, especially on the blades he ground from clam shells. 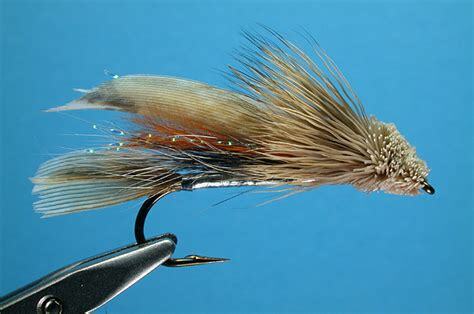 It is similar to a description of Atlantic salmon flies, which are really lures, I saw where the argument was it was an example of reverse evolution. What salmon fed on at sea was not known and as different materials and patterns were tried the successful ones would mimic sea prey more and more, unconsciously to fisherman. As science found what they fed on, this theory seemed to be validated. Noteworthy about this was salmon flies started out as garish and expensive with rare feathers from all over the Victorian empire. Much of this was about hubris and money. Only the rich could afford salmon fishing. Over time simpler, and cheaper, black and green patterns were shown be more successful. The folly of human status is not to underestimated, even in fishing gear. Nothing has changed today. Many lures for striped bass, etc are north of $50.00. I fished striped bass in MA for years and the cost of lures was a big concern. Losing them, and I did, was painful. The fishing was great and interesting and so were the people in it. There were lots of subcultures. Some used bait, some "flies", and many lures. I tried many options. The fly subculture was lots of fun. 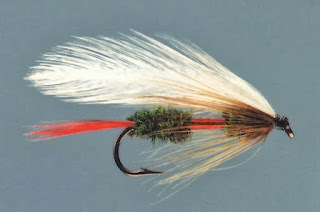 One of the most popular and successful "flies" was the Clouser minnow. This thing is a jig castable on a fly rod but would fly guys admit that. Nooooooo way! I went to a meet and greet for fly guys and called it a jig just to bend them out of shape. One guy acted like I proved evil was good. This kind of appropriation is rife between subcultures. Another example is the fly guys insisting that bobbers\floats are "strike indicators". Another laugh. What was interesting was the subtle stuff. There is a lure called a needlefish in striped bass fishing. This is a stick and to those conditioned to spin and wobble hard to believe, yet, it is one of the most successful bass lures. There is whole subculture around them, too. Some guys spend all winter making them out of wood, like some guys tie flies. There was also legendary makers that turned out ones with magic properties and charged appropriately. It is all in fun, I guess, but sometimes you wonder. Another one was the darter. There is genius in this piece of wood. 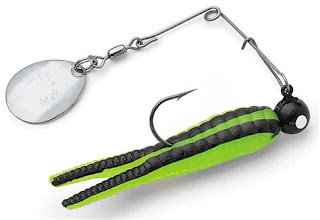 Its action is a zig zag unlike any other lure I can think of. I often wondered why it never crossed over for other species, besides bass. Supposedly it was based on an old Indian lure but how they figured it out would be an interesting story. The biggest change in lures is plastics and scents. I have wandered into the weeds here. I need to quit because the subject is endless and I am not making a point. The point that you are making is that random research is productive when human analysis is folly. Not a small class of problems. 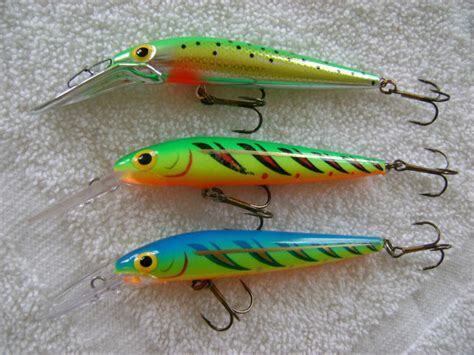 The number one requirement of successful fishing lures is that they induce fishermen to reach into their pockets and pull out their wallet.